100% polyester. Performance fabric. 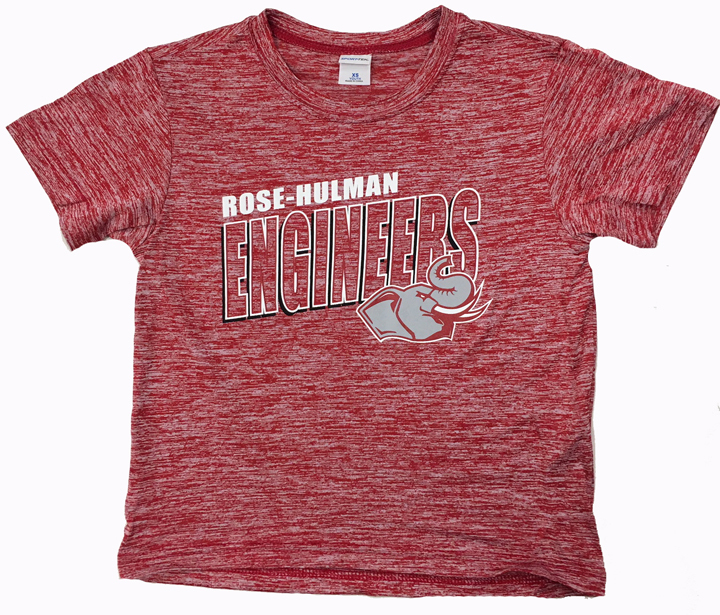 Imprint Rose-Hulman in white over Engineers with logo Rosie the elephant. Please select option for CI Sport Youth Performance T-Shirt.